It has been two years since former chief minister J Jayalalithaa passed away and the mystery surrounding her death is still not solved. After her demise, several filmmakers came forward to direct a biopic based on her life. 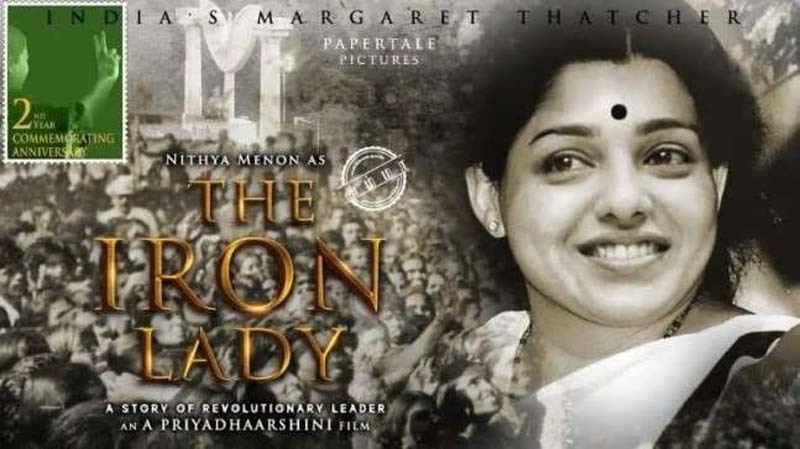 We had earlier reported that director Priyadarshini will be directing a biopic on J Jayalalithaa's life, which is titled The Iron Lady. On September 20, the title of the film was revealed by filmmaker AR Murugadoss of Sarkar fame. On her second death anniversary, which is today (December 5), the makers have announced that Nithya Menen will be reprising J Jayalalithaa in the film. Further, it is speculated that Varalaxmi Sarathkumar might be seen as Sasikala (J Jayalalithaa's companion). It was also revealed that a grand inauguration ceremony will be held in the coming months. The pre-production work is currently underway and the film is expected to go on floors on February 24, which falls on J Jayalalithaa's birthday. Priyadarshini is a former associate to director Mysskin. In a statement, she said, "For the last four months, we were discussing and working on the making of a film on the Iron Lady, who is still alive in the hearts of millions of Tamils. We are proud of this venture and at the same time, we consider this our duty and tribute to the lady who lived an exceptional life. This film has been planned to reach people in Tamil, Telugu, Kannada, and Hindi languages."